Call now & get 15% off your first carpet clean! It is important to have your carpet professionally cleaned to eliminate dust mites, bacteria and other allergens that you don’t normally get to during your regular spot cleaning and vacuuming. At All Gleaming Clean, we have a highly experienced team of carpet cleaning specialists who use the latest cleaning technologies on carpets in residential and commercial properties. Whether you need to remove a stain on your carpet or eliminate fleas, our cleaning methods will make your carpet good as new. We use truck mounted systems that are 20 times more powerful than standard portable cleaning methods. Our systems deliver deep steam cleaning and fast drying times on your carpet. With the help of our cleaning methods, all residual odours and dust mites are pumped into our truck to prevent them from circulating on your property. Not only do we specialise in carpet cleaning, but we also provide upholstery cleaning services. With our specialised upholstery cleaning methods, you can prolong the life of your upholstery. Similar to our carpet cleaning service, we also use a truck-mounted system that performs deep steam cleaning. We don’t need to bring any bulky equipment into your home or commercial property, since our cleaning system only uses hoses and wands. If you have upholstery on the higher levels of your building, you don’t need to bring them down, since our cleaning system has enough hosing to go up to 20 storeys. When it comes to carpet and upholstery cleaning in Addington, leave it to All Gleaming Clean to get the job done. We always strive to provide the highest quality carpet and upholstery cleaning service that meets your expectations. When we arrive at your home or commercial property, we’ll test your carpet or upholstery to find out the most appropriate cleaning method based on your specifications. After determining the best cleaning method, we’ll provide you with a written quote that includes a 15 per cent discount introductory offer. Get in touch with us for any enquiries. Tom did an absolutely fantastic job cleaning our carpets. Everything was done in a timely and professional manner, I would recommend him! First class service – delighted how my carpet looks. They got rid of the stains. It looks great. Not the first time I have used this company and as usual I am delighted with the results. Excellent service. I would recommend. When we come to clean your carpet, we’ll clean a small area and show you the results. If you’re not happy, we’ll leave, and the cleaning is free! We don’t charge for providing quotes.  We’ll even test your carpets to determine the best method give you great results and give you a written quote that includes a 15% off introductory offer. Our carpet and upholstery cleaning service gives very fast drying results. This means that even if you need your carpets back in use quickly, we can do it! Call or send in an enquiry to get a free no-obligation quote and our 15% off introductory offer. All Gleaming Clean is a family run business, established in 1989. We believe we have the edge over our competitors because AGC offers a reliable and friendly service, often at short notice. We also provide a personal service that many of our larger competitors cannot achieve.